The Battle of Berlin occurred from April 16th to May 2nd, 1945 and served as the major concluding battle of World War 2 in Europe. 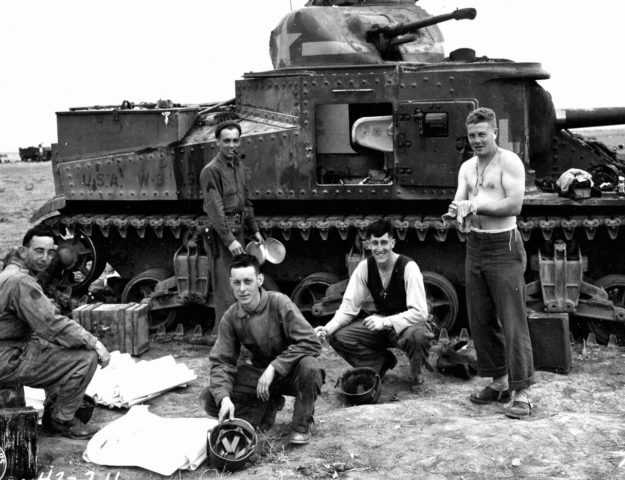 It also served as the culminating point for the Soviet army after seizing the strategic initiative from the Germans after the Battle of Kursk in July of 1943. The Soviets had reached the outskirts of Warsaw in August of 1944, but did not lend any assistance to the Polish Home Army during the Warsaw Uprising. The Soviets would go on to capture Bucharest on August 31st, 1944 and spent the remainder of the year into early 1945 occupying the Baltic States and other territory in eastern Europe. The offensive to take Berlin started in January of 1945 where the Soviet forces would clear out the remaining German forces from Poland. The move to and taking of Berlin would incur a number of implications for the Cold War that would begin soon after the conclusion of World War 2. Suicide of Adolf Hitler and other high-ranking Nazi officials. For the investment and assault on the Berlin Defense Area approximately 1,500,000 soldiers were employed. Scene of destruction in a Berlin street just off the Unter den Linden. Leading up to the Battle for Berlin, Soviet Premier Joseph Stalin considered the city to be one of the major prizes of the war. He feared that the British would beat the Soviets to the city with UK Field Marshal Bernard Montgomery’s 21st Army Group that was advancing from Holland into Northern Germany. Due to fears of Hitler escaping to the south into Austria, U.S. General Dwight D. Eisenhower made the decision to plan for a broad front offensive using the U.S. 9th Army to conduct mopping-up operations in the Ruhr and then advance eastwards towards the Erfurt-Leipzig-Dresden line. At the same time, Montgomery’s 21st Army Group would protect the northern flank of the Allies and General Jacob Devers’ 6th Army Group would protect the southern flank. The end result would be to meet the Soviet’s advance around Dresden and effectively cut Germany in half. The decision to not make Berlin the focus of the Allied advance was not popular with Churchill, especially after the Soviets had started back tracking on a number of agreements made at the Yalta conference. 1 – The Allies and the Red Army would meet at the Erfurt – Leipzig – Dresden line. 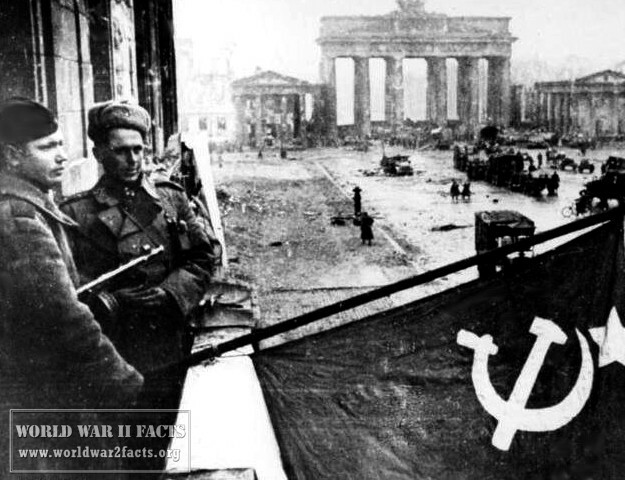 2 – Berlin had lost its strategic importance and the Soviets would only use secondary forces to capture the city. 3 – The primary thrust by the Soviets would begin in the later half of May. 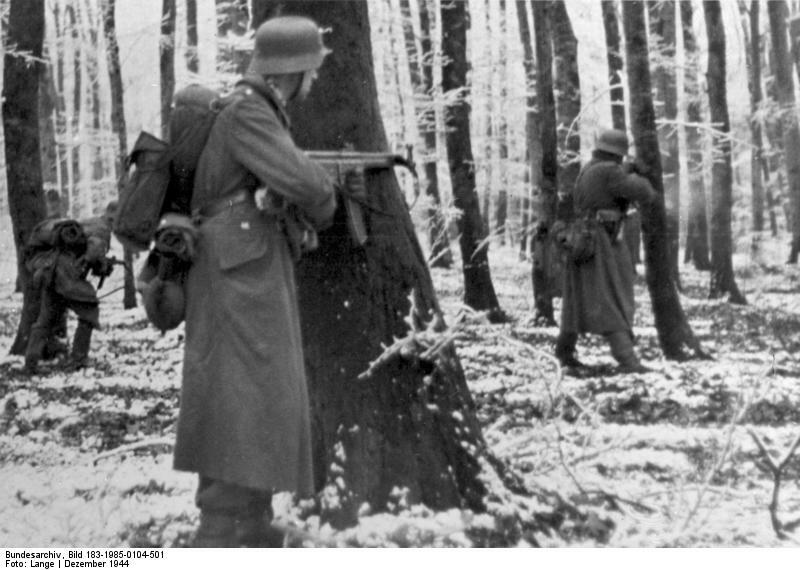 4 – The German army was reinforcing the eastern front with the 6th SS Panzer Army in addition to two divisions from Norway and two from Italy. Looking back, the second and third points made by Stalin were fabrications to hide the real plans of the Soviets for after the war. At the same time, Stalin would charge his two front commanders, Marshal Georgi K. Zhukov (Commander, 1st Byelorussian Front) and Marshal Ivan S. Koniev (Commander, 1st Ukrainian Front) with reaching the point of Lübben on the River Spree to take charge of taking the capital city. Map of Battle for the Reichstag (Battle in Berlin Map). 9 March 1945 photo of Joseph Goebbels handing Iron Cross II class to 16-year old Hitler Youth Willi Hübner after capture of Lauban. 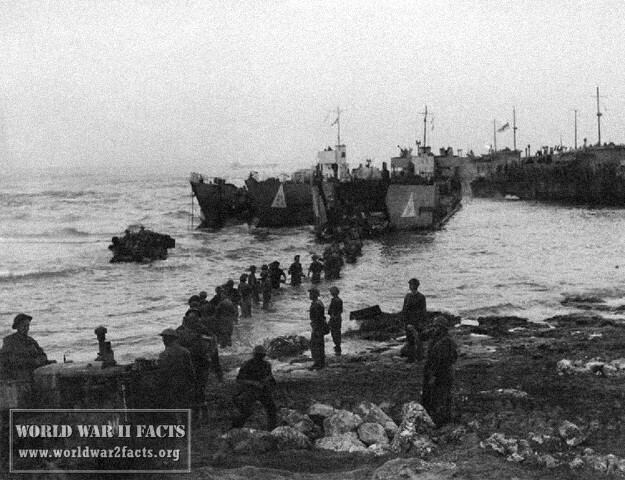 Heinrici, correctly identified the main Soviet attack coming over the river. Prior to the main Battle of Berlin commencing, the Soviets would encircle the city following the Battles of Halbe and Seelow Heights. The official start of the Battle of Berlin started on April 16th, 1945 when the 2nd Byelorussian Front, and the 1st Byelorussian Front attacked the city from the east and south respectfully. 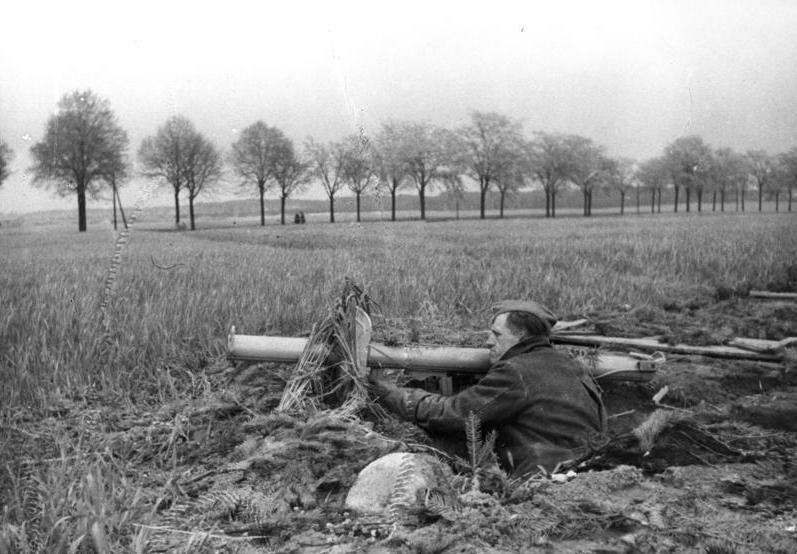 A third group would defeat German defending units located north of the city. Prior to the attack commencing, Marshal Zhukov shelled the city center with artillery and Marshal Konev broke through the final formation of the German Army Group Center. German defenses of the city were led by Helmuth Weidling and consisted primarily of badly equipped and depleted Wehrmacht and Waffen-SS divisions. Additionally, many Volkssturm and Hitler Youth members augmented the defending units. Over the next several days of the battle the Soviet army would advance throughout the city while taking significant losses. 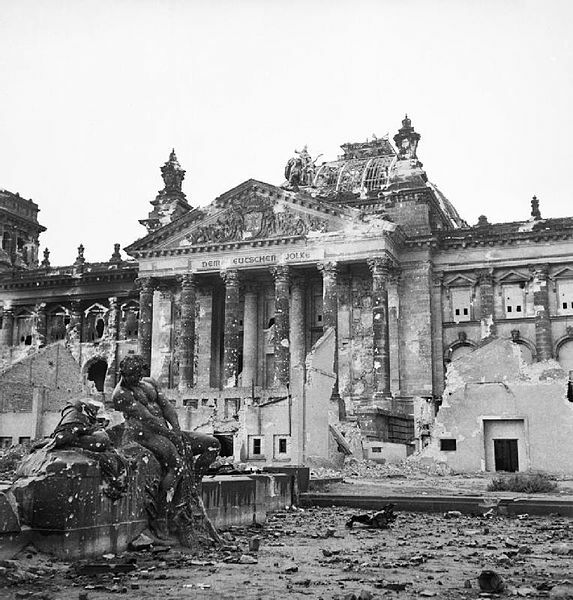 By April 30th, the Soviet Army had conquered the Reichstag after heavy fighting. 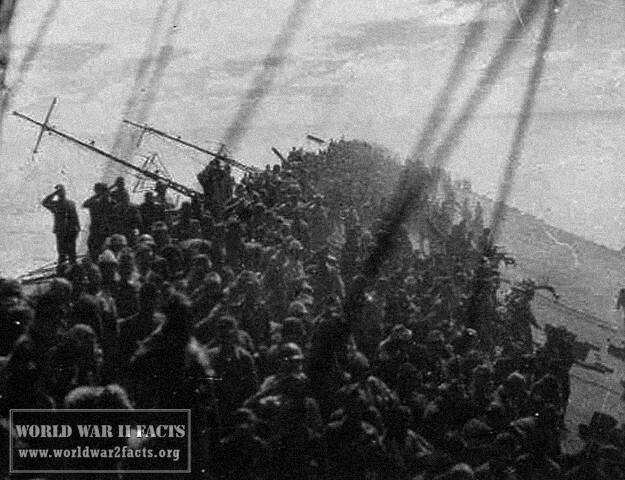 reported to Hitler that the ammunition of the defenders would be exhausted at some point that evening. He was given permission to attempt a breakout through the Red Army lines encircling Berlin. Later that afternoon, Hitler and his wife (Braun) committed suicide. Their bodies were cremated close to his bunker. Upon his death, Hitler’s will appointed Admiral Karl Dönitz as the Reichspräsident or “President” of the country. Joseph Goebbels was appointed as the new Reichskanzler or Chancellor of Germany. Following Hitler’s lead, many of his followers would commit suicide prior to the city surrendering to the Soviets which occurred on May 2nd, 1945. 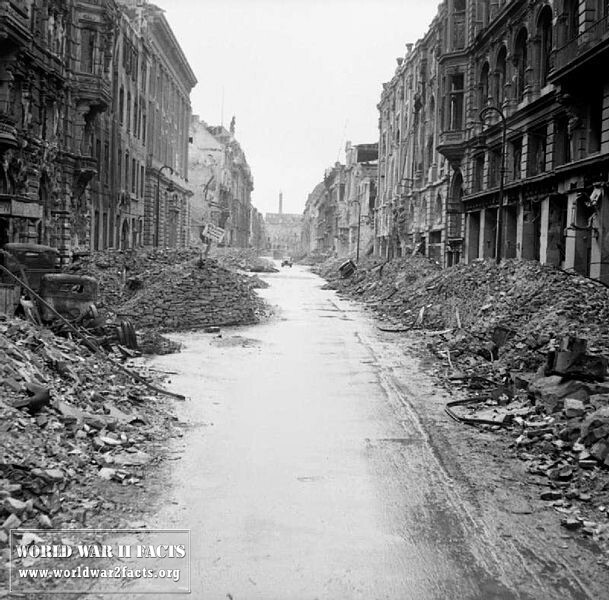 Fighting would continue around the city until WW 2 in Europe ended on May 8th. During this time, many German units would fight to the west so they could surrender to the Western Allies vice the Soviets. Remme, Tilman; The Battle for Berlin in World War Two BBC article, last accessed 20 April 2013. 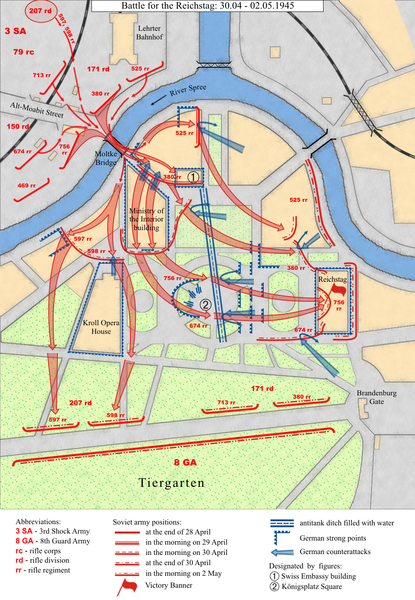 Battle in Berlin, ending of the Battle of Berlin, Wikipedia, last accessed 21 April 2013.